The Kindle edition of Grace of Vernow: An Eldentimber Novelette is now available! Today through the 18th you can download the novel from Amazon for free! Also, in celebration of the prequel’s release, I have a Goodreads giveaway going for the paperback edition of Pippa of Lauramore. You can enter it here. 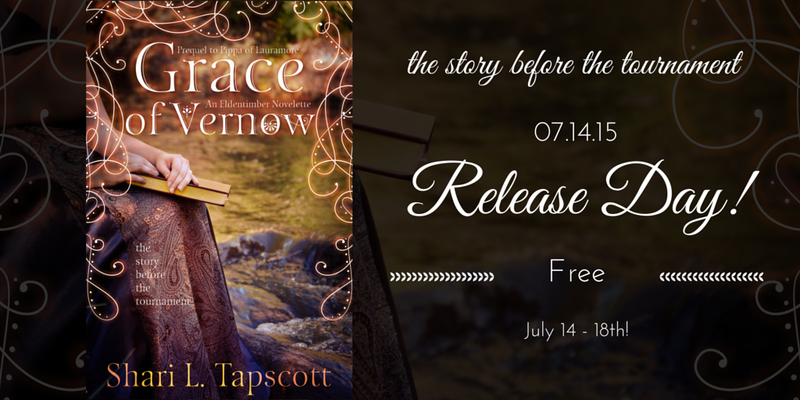 Be sure to pick up Grace while it’s free! I hope you all enjoy it!